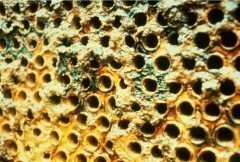 Limescale or Calcium Scale is a major problem for many industries who rely on water equipment such as pipes, pumps, heat exchangers, boilers and cooling towers. Even small amounts of limescale build-up in systems like these can result in dramatic energy use increases, not to mention reduced flow rates and lost production. 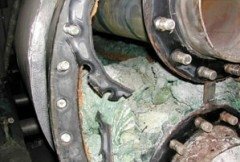 In some cases, components affected by limescale can become the root cause of large and extremely costly failures of expensive equipment. Whilst limescale is a big problem, treating it is generally not difficult – with the right tools and advice. 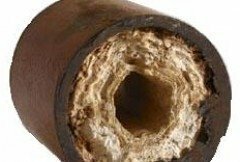 Find out more about limescale and how to deal with it here. 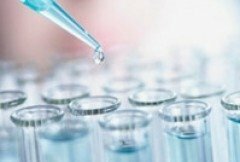 If your business is experiencing issues with Limescale deposits Envirofluid is offering free lab testing and analysis to help you determine the best chemical treatment options. Pumps and pipes effected by calcium and limescale can be chemically treated to remove deposits even if completely blocked using a combination of Triple7 Heavy Duty and Enviroscale. Removal of limescale build-up can be achieved through mechanical or chemical descaling. Chemical descaling with a limescale remover is usually the fastest and most cost effective option. Chemical limescale removal is faster, cheaper and more thorough than mechanical methods however there are a few critical considerations when selecting a chemical de-scaling agent. What is Limescale or Calcium Scale? Limescale (or Calcium Scale) is a hard, off-white chalky substance often found on the metallic parts of water-operated machinery. It is particularly common in machinery and equipment that involves heating elements (such as boilers) or heat transfer elements (such as heat exchangers). 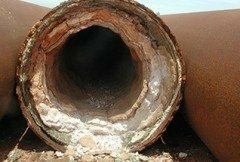 Limescale is also found in metal pipes, pumps, filters and other water equipment to varying degrees, depending on water quality. The build up of this scale, over time, can severely interfere with efficiency and reliability of machinery, pipework and processes leading to decreased efficiency and costly failures.